I'm still mildly annoyed by the colour of the Puma logo on the shoulder. Why is it white? It should be black. Why is white? Obviously because of the black stripe... Even this season is white. That one is ugly. 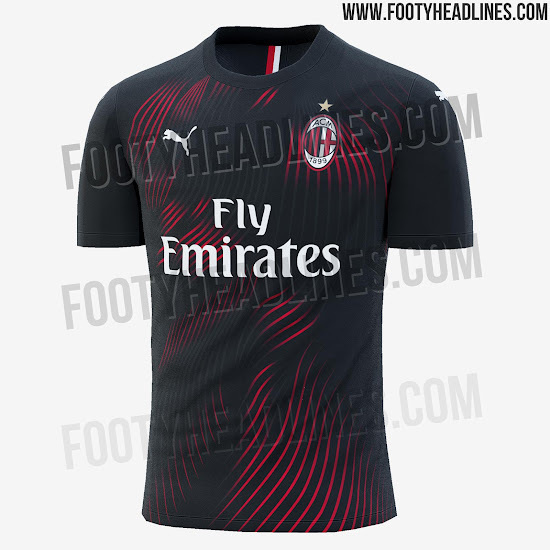 Looks like a training shirt. Milan store used to send a €20 birthday discount code. Anyone still receives it since they change the sponsor to Puma? The old code doesn't seem to be working anymore.